After an interesting period of extending to the outside, in October 2005, during ten days a group of women from El Vellón -in Madrid- participated in a esparto workshop, forming part of series of workshops named "Recovering handmade trades". The Association "Vida Sana" invited me to the Biocultura fair 2005 from the 4th to 7th of November in the section "Recovering traditions". The 16th of December 2005 the Foundation "Vida Sana" created the Awards "Recovery"and in the section "Trades and Technology" they conceded me that prize for my work with esparto. During the second part of 2006 course I have taught crushed esparto courses all around the Murcian geography. Esparte was present in the esparto craftsmanship fair in El Zacatín in Bullas on May 7th 2006. I also participated in the "7th Agricultural Biodiversity Fair" (2nd European seed meeting, and the 5th national seed days) celebrated in Bullas-Murcia from October 12th to 15th 2006. The 21st of October of the same year, "Esparte" joined the first "Traditional Crafts and Trades" First Fair in Monzón (Huesca). Another year, the association "Vida Sana" invited me to join the Biocultura Fair 2006 on the 3tr, 4th, 5th and 6th of November in section "Craftsman and Trades". Also I was participated in the 3rd Medieval Market in Caravaca de la Cruz-Murcia on the 6th and the 7th December of 2006. During 2006-2007 I have taught several initial esparto courses in the Cultural Asociation Adesga of Garruchal village, as well as in villages of Murcia (Guadalupe, La Arboleja, Patiño, El Esparragal y El Palmar). Also I participated in the Second Edition of the Artisan Spring Show - Murcia 2007 (April 2007). 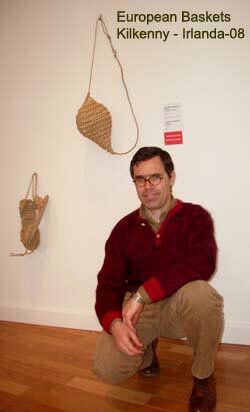 On the 19th of April 2007, "Esparte" was in the Fuente Álamo Museum Opening (Murcia), plaiting some simple pieces. 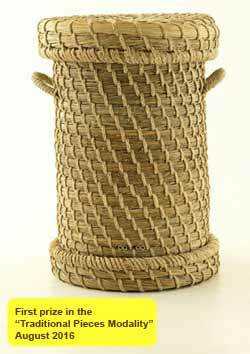 Along May 2007 "Esparte" has done the "Integral esparto craftsmanship course" (40 hours) in the Craft Council of Murcia summoned by Dirección General de Comercio y Artesanía de la Región de Murcia. A yearly esparto course in the Tradition Workshop is taught by me in Madrid in the last weekend of June in 2007, 2008 and 2009. 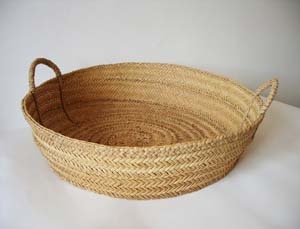 On the 25th – 29th of June 2007 "Esparte" gave an "Integral esparto craftsmanship course" (40 hours) in the Basketry Workshop of Centro de Artesanía y Diseño de Lugo (CENTRAD). In September 2007 "Esparte" participated in the Medieval Market in Binéfar-Huesca. I participated as international consultor and independent expert of the German State (through your International Cooperation Agency - GTZ) in the first Kasserine esparto festival of Kasserine - Túnez - from the 21st to the 24th of 2008. 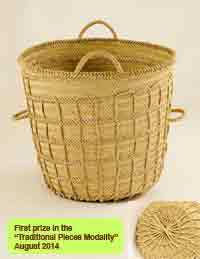 A course of "punto de cofín" and "punto de garbanzo" (40 hours) is taught by me in the Basketry Workshop in "Centro de Artesanía y Diseño de Lugo" (CENTRAD) from the 22nd to the 26th of Juny 2009. 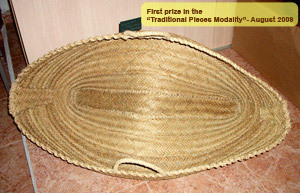 I obtained the unique prize in the IIIrd "Fibres Vegetals International Contest 2009 in the modality "Traditional Pieces" in Mas de Barberans-Tarragona (Spain), the first of August. The piece I took part in the contest was a serón. 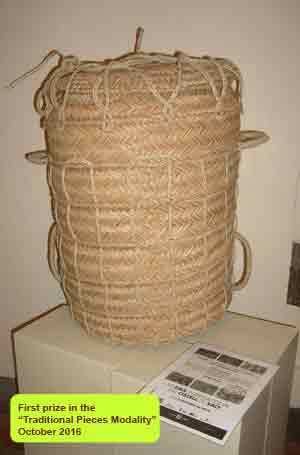 I gave a course in Raw esparto-pleita (24 hours) at the basketry workshop in Centro de Artesanía y Diseño de Lugo-Spain (CENTRAD) from June 25th to 27th 2010. 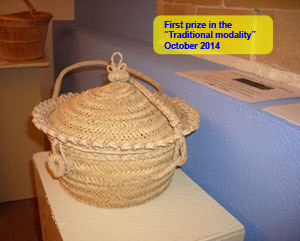 Unique prize in the VIIIth "Fibres Vegetals International Contest 2009 in the modality "Traditional Pieces" in Mas de Barberans-Tarragona (Spain), the 2nd of August 2014. I took part in the contest with a piece called opened costal. 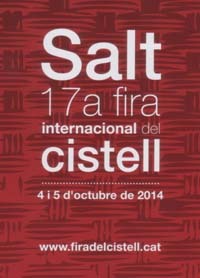 I was rewarded with the first prize at the 5th year CICRA prizes (Salt - Girona), the 4th of October 2014. A sewing basket (costurero) was the awarded piece. An introductory course to Crushed Esparto I taught (November 2015) in the People's University of Yecla - Murcia. 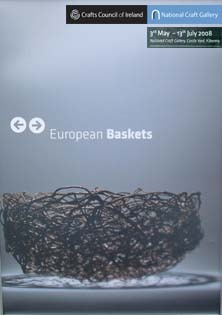 I obtained the unique prize in the Xth Vegetal Fibres International Contest 2016 in the modality "Traditional Pieces" in Mas de Barberans-Tarragona (Spain), the 6th of August 2016. I took part in the contest with a piece called traditional beehive. 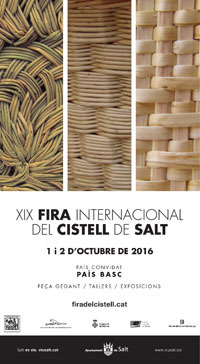 I was rewarded with the first prize at the 7th year CICRA prizes (Salt - Girona), the 1st of October 2016. A closed costal was the awarded piece. "Cofin point" course at the Botanical Garden of Barcelona. May 2017. "...go through once, once only and light, light, always light."